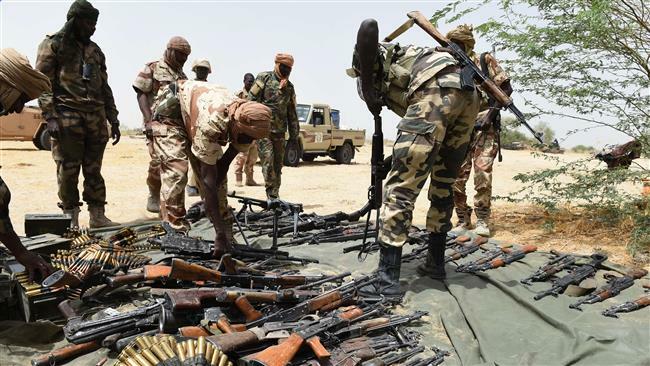 Following the death of seven worshippers in a bomb explosion during morning prayers at a mosque in Konduga Local Government Area of Borno State, the military said it was doing everything possible to end the reign of terror by Boko Haram terrorists. Reacting to the attack carried out by a male suicide bomber, the Chief of the Air Staff (CAS), Air Marshal Sadique Abubakar, Monday said despite the recent attacks, the military had come a long way in recapturing control of areas formerly under Boko Haram captivity. In an interview with THISDAY in Lagos, Abubakar said, “We are doing everything humanly possible to ensure we deal with the problem of Boko Haram. “Let’s not forget where we are coming from, an era where over 22 local governments were controlled by Boko Haram before we recaptured it. “However, I am not saying that we should allow this to happen but what I can tell you is that in all insurgencies, what is required is for us to keep the fight. “Also note that it’s not only about the military might, but about intelligence gathering. To achieve this, we need understanding to get people to give us the required intelligence to work. Abubakar also expressed hope that all security agencies will continue to work in synergy in first gathering intelligence, before the physical warfare can be fought. He said, “We need to work hand in hand with security agencies in providing intelligence which is very important. “No fighter aircraft can detect a girl carrying bomb. It’s a human being that will come and disclose what is happening and where. “It’s also from that intelligence that you plan your operation and make sure you deal with that threat.